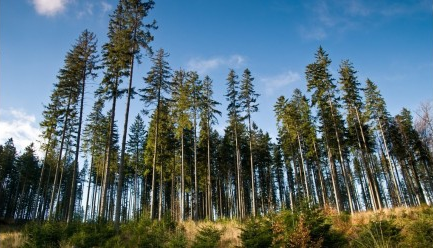 The trees at the border of Germany and Poland are tall and lean, like birch. Their shafts in the slanted sunlight of afternoon look spectacular. I wonder if this is where battles were fought. The rivers here run muddy but maybe once they ran with blood. Did my grandfather see these trees? I was told before I came on this trip that I would not need to worry, that all of the countries to which I would be traveling agreed on something that other countries agreed on back in Schengen in 1985 and I would not need to worry about passing so much like the person in my document (I look like her, I am her, but for certain traveling purposes—like passing through Poland the conservative, where a gay friend of mine was recently chased down the street for being so—she hides beneath men’s clothes and a face wiped clean of makeup). Nevertheless, the tall and lean birch trees held back for a second at the border of Germany and Poland and our bus followed suit, as two armed guards boarded to check our documents. My heart beat fast like wolves. I breathed and sent up a quick prayer. They made their way down the aisle towards me. As I handed him my passport, I looked at the guard with the certainty that I am a woman, or something similar. Thank God this sweatshirt is baggy, I thought. Something was wrong with girl’s document across from me, and the guards joined together to discuss it while the one still held mine open in his hand. Words were exchanged in a language I do not speak. They left and went outside back to their car. The girl followed them, as did my passport. I checked my face in my phone camera and decided not to. You look femme and fine au naturale, I weakly reassured myself. I realized they had taken everyone’s passports and were now scanning them through some little device. I breathed easier. One of the guards gave the stack back to a bus worker. He passed them back out based on the photos alone. He had gotten down to the last one, and I glimpsed the red and white stripes of the US flag inside it. I had still not received mine. The bus worker passed me. He seemed to be returning to the guards to ask them whose it was but they left again before he could. He looked out over all the passengers with an embarrassed smile—This usually never happens, he seemed to say—until I kindly waved to him. Almost laughing at the foolish mistake, he handed it back to me. I said nothing for fear of him hearing my low voice. I smiled back, forgivingly, disarmingly, the way that all fugitives must. I wonder if this is where battles were fought. Clouds have passed overhead, and the trees look different now.